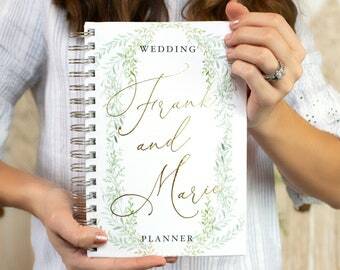 Highest rated seller on Etsy for wedding guestbooks, return address stamps, and wedding planners. 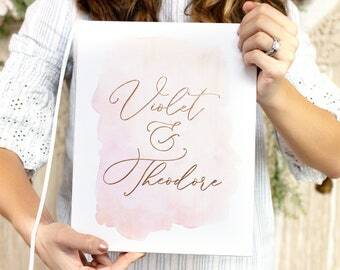 🍑Check out our sister shop: https://www.etsy.com/shop/PaperPeachBaby for baby announcements, birthday party invitations, baby shower invitations, and more! So beautiful in person! Nicci was so sweet and accommodating. I like different parts of two books, so she combined them into one. I love it!! 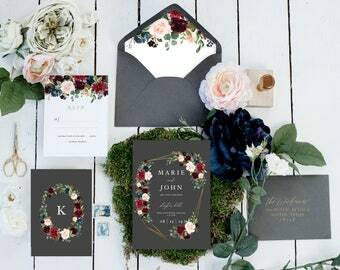 beautiful invitation and loved details! Come back real soon, now! 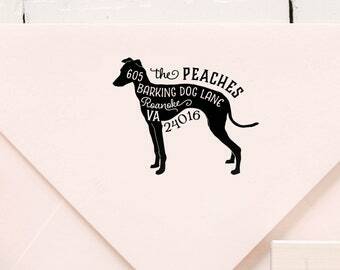 Welcome to Paper Peach! We love what we do! 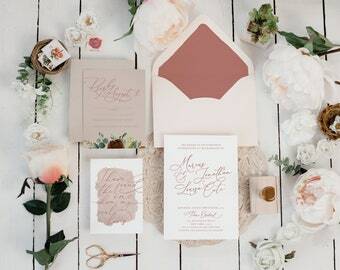 Paper Peach is a specialty stationery brand, the destination for personalized paper goods featuring the latest trends in stationery, inspired by nature and fashion for the people who celebrate the extraordinary and eclectic. 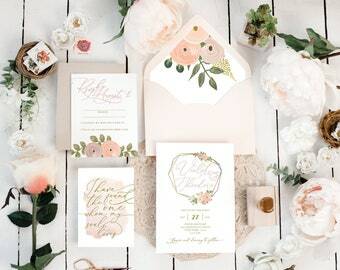 The brand offers a niche range of products from bohemian wedding invitations, custom return address stamps, peachy party invitations, planners, and guestbooks — all reflecting a high level of quality, invoking attributes of botanical elements, vintage patterns, and hand lettered typography. 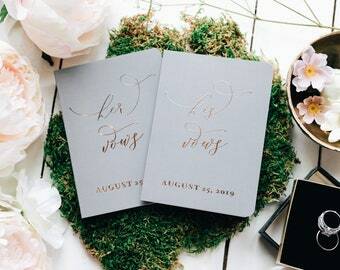 The exclusive collection is available exclusively on Etsy and blooming with charm and a unique story. 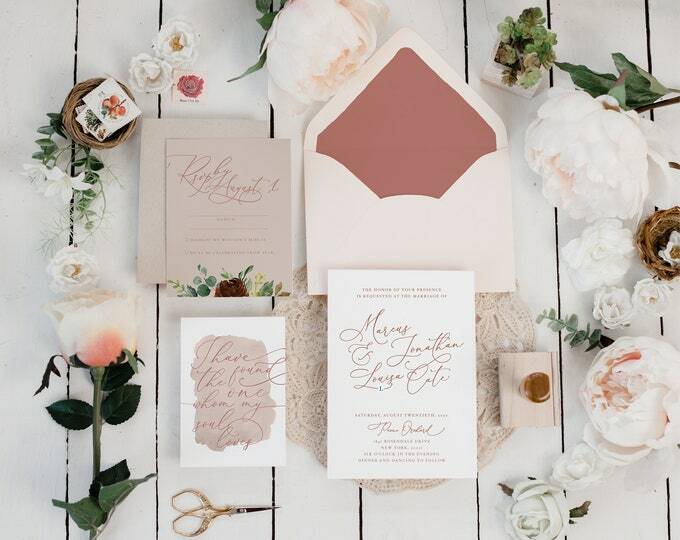 Nicci & Kyle Wiedman are the co-founders of Paper Peach. 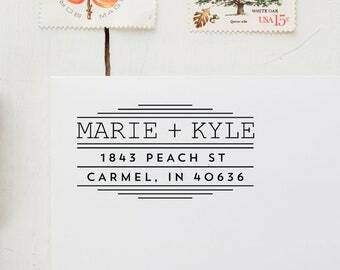 Nicci and Kyle fell in love while studying graphic design in college (Purdue University in Indiana) and have been creating beautiful things ever since! Each piece is designed with love by Nicci and Kyle. This print shop is known for their high quality books. This small shop understands the importance of delivering beautiful products on time. They are a dedicated team of professionals that go the extra mile! 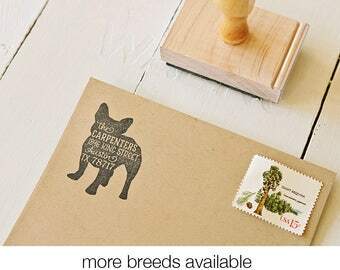 The traditional wood handle stamps are assembled by hand by highly skilled and efficient craftspeople. The rubber is laser cut for a lifetime of impressions. My professional print manufacturer is 100% employee-owned and earth-conscious. They employ state-of-the-art technology for digital printing, and have a small and mighty staff to bring you printed joy. 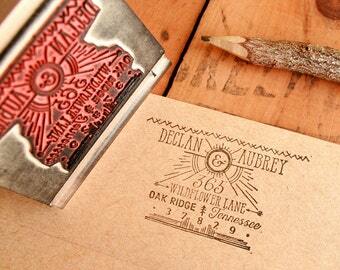 They have built their name and brand on a basic mentality, providing the very best embossers. They take great pride in every part of the product; from designing classic to on-trend designs and hand-making the custom polymer, to the exquisite packaging. 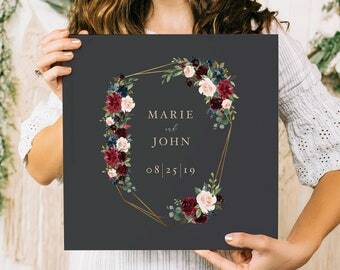 To fulfill your order, you must provide us with certain information (which you authorized Etsy to provide to us), such as your name, email address, postal address, payment information, and the details of the product that you’re ordering. You may also choose to provide us with additional personal information directly in order to fulfill personalized and/or custom orders. * Service Providers. We work together with other companies who provide services to us, such as manufacturing partners, delivery companies, hosting our website, analyzing our website traffic, hosting & providing our cloud services, etc... We only share personal information with these companies if it is necessary for them to provide their services. All companies we work with provide at least industry standard systems and processes to ensure the security and confidentiality of your information. We may store and process your information through third-party hosting services in the US and other jurisdictions. As a result, we may transfer your personal information to a jurisdiction with different data protection and government surveillance laws than your jurisdiction. If you use our services, you agree that your information is transmitted, stored, and processed in data centers outside the EU. We do not knowingly collect personal information from children under 13. If we learn that we have collected personal information from a child under 13, we will promptly delete this information. Parents or guardians can contact us at privacy@paperpeach.com. We reserve the right to use any and all designs we’ve created on social media and on our shops or websites and retain all respective copyrights and the protections granted as such unless a separate agreement is reached. We will never include your private information in promotional materials without your express consent. Not all products offer a proof, but we can typically send one, just let us know! PLEASE be on the lookout for the proof via email. If we do not receive a response from you within 3 days, your order will be produced as is. No changes or refunds may be requested once we have created your stamp or guestbook due to lack of communication on your end. Etsy requires us to meet our stated deadlines. Thank you for your understanding. We respond to inquiries as fast as possible. I am a mom of three with a photography business on the side. So if I don't respond immediately, please don't send multiple messages. Upgrade to a rush project here: https://www.etsy.com/listing/192908838/rush-order for rush orders. Please order with plenty of time to spare. 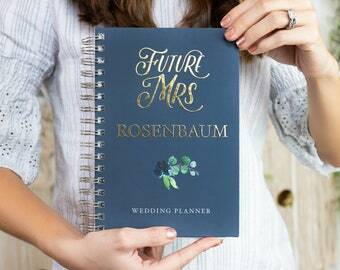 If you are in a rush, we can also offer rush design services and/or expedited shipping. If you have requested a proof, you will receive a proof. If you do not respond to the proof within 3 days, the item will be produced as is. 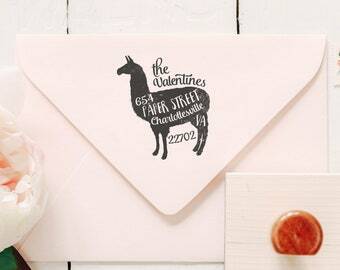 Please make sure you have a valid email address associated with your Etsy account. I am in a rush! Please help! For same-day service, we offer rush orders here: https://www.etsy.com/listing/192908838/rush-order. Please keep in mind that this does not include rush printing and/or rush shipping. Please contact me for those estimates. 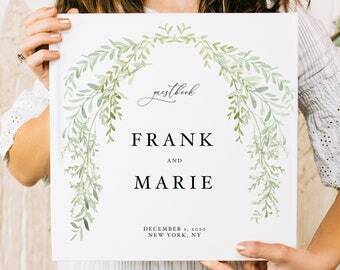 For a quick turnaround time, we are also adding instant downloads to our shop. You'll get the files instantly, and you can edit the files yourself, usually. Search "instant download" in our shop to check them out! Can you change this font? We will not change any of the fonts in our designs under any circumstances. 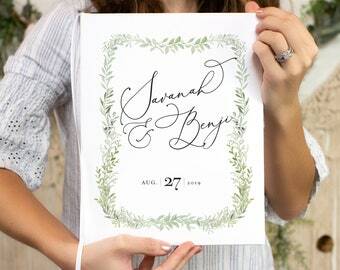 Many inexperienced designers create pieces that allow customers to "pick a font." I don't work like this. 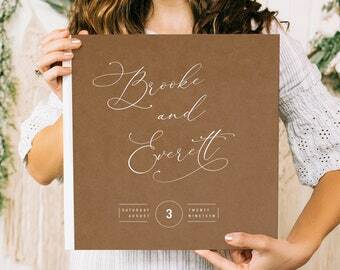 I spend a significant amount of time finding the perfect font for each piece. I have tested these fonts for quality imprints on my products, and I know what works best. When you order from our shop, you can feel confident that you are receiving a high quality, professional design using high quality, professional fonts. 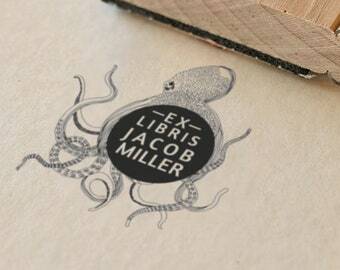 For digital or custom designs, there will be no refunds once the first proof has been sent to you. Because we begin processing your order as soon as you have ordered, there is a cancellation fee of $10. We spend a lot of time creating your custom proofs, so we do offer a cancellation fee to accommodate our loss of time in creating the design. Step 1: Update your email address on your Etsy account. This will ensure that you receive all the lovely & highly informational communications and/or proofs from our shop. 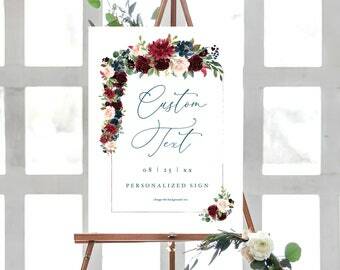 Step 2: Place your order with any details in the personalization section. Step 3: Wait for your design proof. Step 4: Approve the design proof or request changes. Once your design is approved, we will remind you of the turnaround time, and send it to production. I'm concerned about my colors. 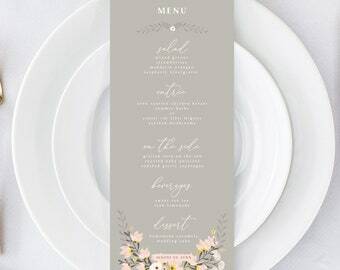 Unfortunately, we cannot guarantee that what you see on your monitor is what the printed invitations will look like exactly. This is an inherent limitation with digital printing and the differences between each monitor. • I found a typo on the product I received. What do I do? 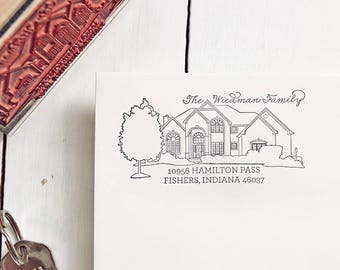 We offer a complimentary proof on stamps and guestbooks and three complimentary proofs on wedding invitations. We are not responsible for any errors or typos that were approved by you during the proofing process. Please proofread very very carefully! We can offer a reprint at-cost in this situation. Contact us to work this out. • I entered the incorrect shipping address. What do I do? We try to confirm all shipping addresses with you prior to production, but we are not responsible for shipping to the address you entered upon checkout. Please take your time reviewing your address while checking out. Aren't paper products bad for the environment? Some people think of paper products as dead trees, once they are cut down, they are gone forever! But that’s not actually the case. Some paper forests, like the one Paper Peach uses, are sustainable. When one is cut down, another is planted. So they are actually carbon neutral. If it weren’t for the paper industry, some forests wouldn’t even exist! When paper companies go out of business, so do their forests! The trees are cut down and replaced with other ways to make money. They are replaced by something like a highway, housing, or restaurants. All which have a MASSIVE carbon footprint. No only do the new subdivisions have a higher carbon impact, there is now one less forest to soak up all that carbon. Protect the world with Paper Peach!